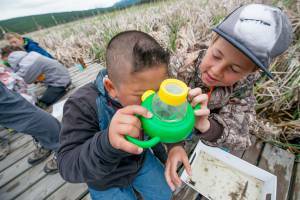 Classroom With Outdoors offers B.C.-curriculum-based outdoor education to promote healthy, hands-on learning through exciting and engaging activities. Our knowledgeable, experienced education professionals help students form lasting connections with nature while having fun and learning. It’s a great way to engage and inspire this curious age group! Request your 2018/19 field trip. Kids dive into the ecology of their wild backyard with a day-long field trip to their local grassland, wetland or forest. 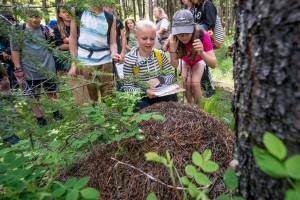 Ecosystems come alive through hands-on investigations: dip-netting for bugs, water quality testing, discovering the web of life on the forest floor, following the energy cycle of a grassland and treasure hunting for biodiversity. The programs are tailored to meet B.C. Ministry of Education Science curriculum learning outcomes for Grades 4 – 7. Students discover the wonders of nature through an introduction to ecosystems and the ways in which living things sense and respond to their environment. Students investigate the complex interconnections between producers, consumers and decomposers. They consider how materials from the Earth can be used as natural resources and how humans fit into the Web of Life. Students explore the systems that help them survive and thrive by understanding the link between healthy humans and functioning ecosystems. Students investigate ecological principles such as diversity, survival, long- and short-term change and interconnection and learn valuable lessons for life from our wisest and oldest of teachers—nature itself! 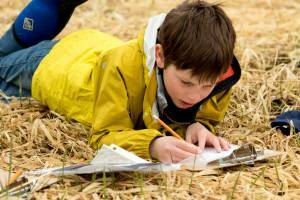 Classroom with Outdoors runs in September, October, May and June, throughout the Columbia Basin. As we are currently developing and piloting more in-depth education programs, we have reduced the number of Classroom with Outdoors trips offered in line with our funding. Wildsight thanks the Columbia Basin Trust, Columbia Power Corporation, Fortis BC, the Osprey Foundation, Teck Coal, Teck Trail operations, the Province of British Columbia and all of our individual donors for making this program possible.